This entry was posted in Catholic, Rosary, Uncategorized and tagged Catholic, Rosary on October 21, 2016 by damselofthefaith. Today is the Feast of the Most Holy Rosary. 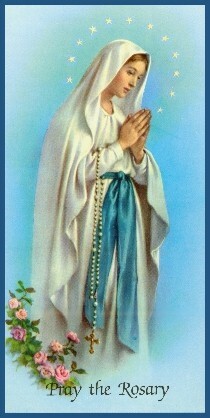 At Fatima, Our Lady asked us to pray the Rosary every day. Here are some meditations from the Saints on the greatness and importance of the Rosary, with its benefits to our spiritual life. 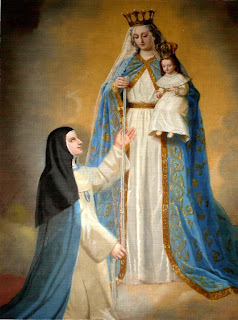 “Since the Rosary is composed, principally and in substance, of the prayer of Christ and the Angelic Salutation, that is, the Our Father and the Hail Mary, it was without doubt the first prayer and the principal devotion of the faithful and has been in use all through the centuries, from the time of the apostles and disciples down to the present. I will tell you the story of how he received it, which is found in the very well-known book De Dignitate Psalterii, by Blessed Alan de la Roche. Saint Dominic, seeing that the gravity of people’s sins was hindering the conversion of the Albigensians, withdrew into a forest near Toulouse, where he prayed continuously for three days and three nights. During this time he did nothing but weep and do harsh penances in order to appease the anger of God. He used his discipline so much that his body was lacerated, and finally he fell into a coma. At the very beginning of his sermon, an appalling storm broke out, the earth shook, the sun was darkened, and there was so much thunder and lightning that all were very much afraid. 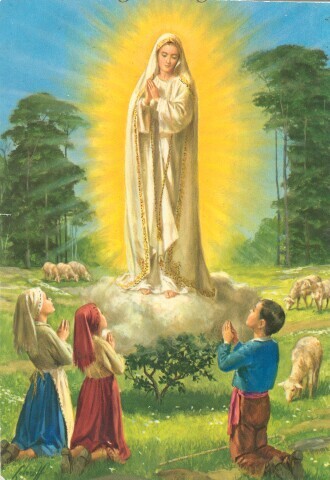 Even greater was their fear when, looking at a picture of our Lady exposed in a prominent place, they saw her raise her arms to heaven three times to call down God’s vengeance upon them if they failed to be converted, to amend their lives, and seek the protection of the holy Mother of God. Blessed Alan, according to Carthagena, mentioned several other occasions when our Lord and our Lady appeared to Saint Dominic to urge him and inspire him to preach the Rosary more and more in order to wipe out sin and convert sinners and heretics. In another passage Carthagena says, “Blessed Alan said our Lady revealed to him that, after she had appeared to Saint Dominic, her blessed Son appeared to him and said, ‘Dominic, I rejoice to see that you are not relying on your own wisdom and that, rather than seek the empty praise of men, you are working with great humility for the salvation of souls. “‘But many priests want to preach thunderously against the worst kinds of sin at the very outset, failing to realize that before a sick person is given bitter medicine, he needs to be prepared by being put into the right frame of mind to really benefit by it. All things, even the holiest, are subject to change, especially when they are dependent on man’s free will. 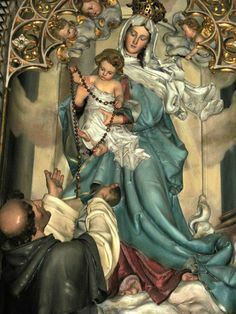 It is hardly to be wondered at, then, that the Confraternity of the Holy Rosary only retained its first fervour for a century after it was instituted by Saint Dominic. After this it was like a thing buried and forgotten. 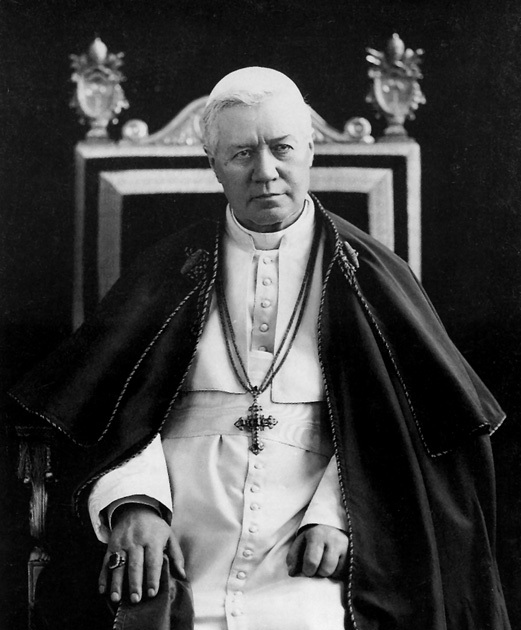 Doubtless, too, the wicked scheming and jealousy of the devil were largely responsible for getting people to neglect the Rosary, and thus block the flow of God’s grace which it had drawn upon the world. 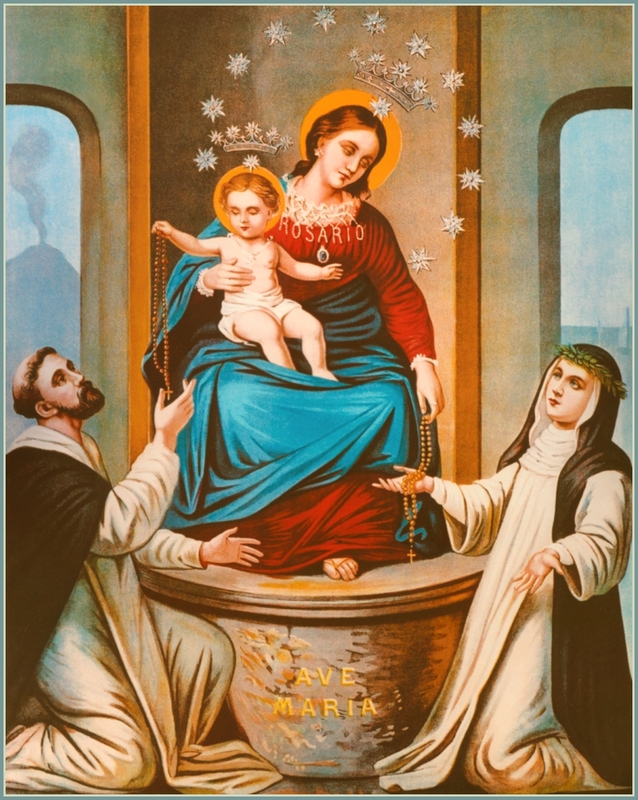 From the time Saint Dominic established the devotion to the holy Rosary up to the time when Blessed Alan de la Roche reestablished it in 1460, it has always been called the Psalter of Jesus and Mary. This is because it has the same number of Hail Marys as there are psalms in the Book of the Psalms of David. Since simple and uneducated people are not able to say the Psalms of David, the Rosary is held to be just as fruitful for them as David’s Psalter is for others. 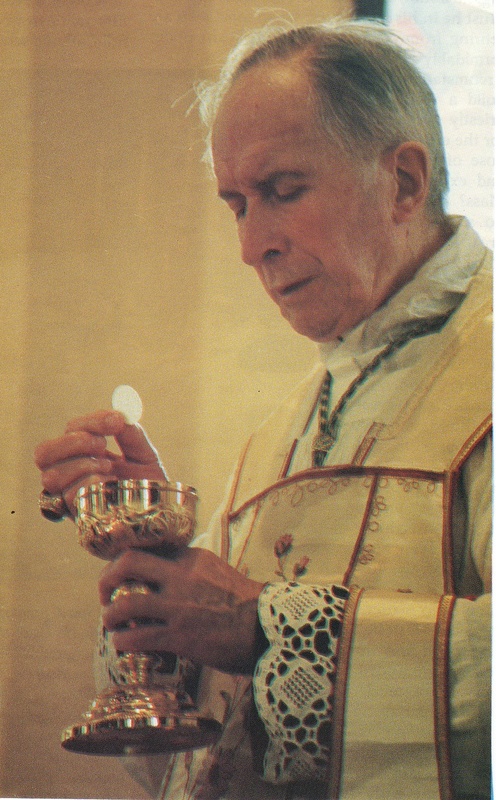 Ever since Blessed Alan de la Roche re-established this devotion, the voice of the people, which is the voice of God, gave it the name of the Rosary, which means “crown of roses.” That is to say that every time people say the Rosary devoutly they place on the heads of Jesus and Mary 153 white roses and sixteen red roses. Being heavenly flowers, these roses will never fade or lose their beauty. A Blessed Feast of the Most Holy Rosary to all! 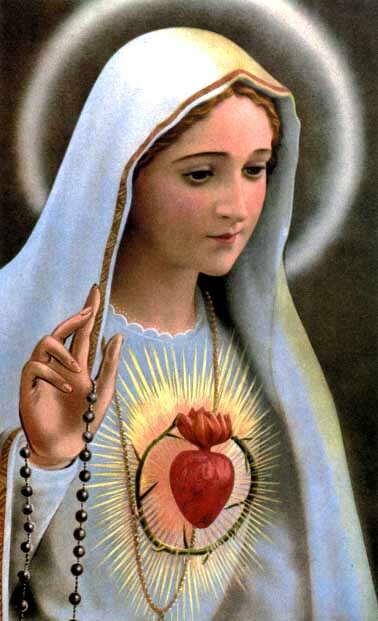 This entry was posted in Catholic, Our Lady, Rosary and tagged Catholic, Our Lady on October 7, 2015 by damselofthefaith. 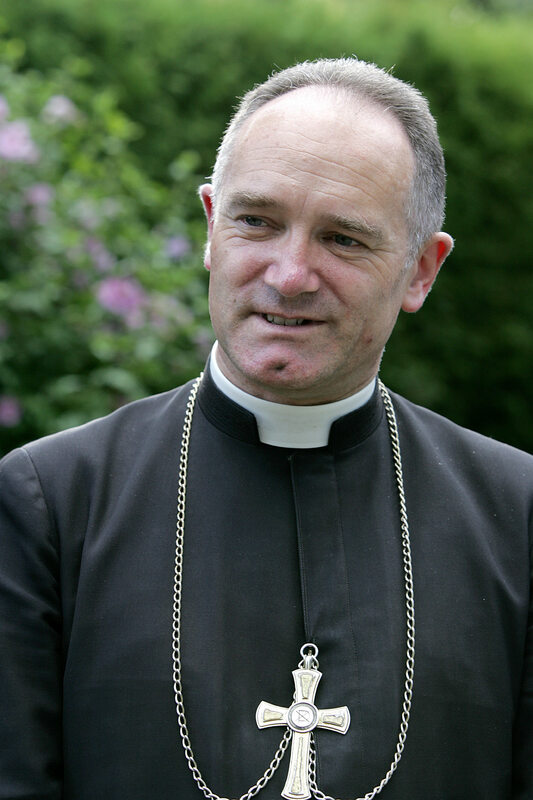 More than once have We asserted–and We recently repeated this in the Encyclical Letter Divini Redemptoris (Acta Ap. Sedis, 1937, vol. XXIX, p. 65)–that there is no remedy for the ever-growing evil’s of our times except a return to Our Lord Jesus Christ and to His most holy precepts. Truly, only He “hath the words of eternal life” (Cf. John, VI, 69), and individuals and society can only fall quickly and miserably if they ignore the majesty of God and repudiate His Law. However, anyone who studies with diligence the annals of the Catholic Church will easily recognize that the true patronage of the Virgin Mother of God is linked with all the annals of the Christian name. 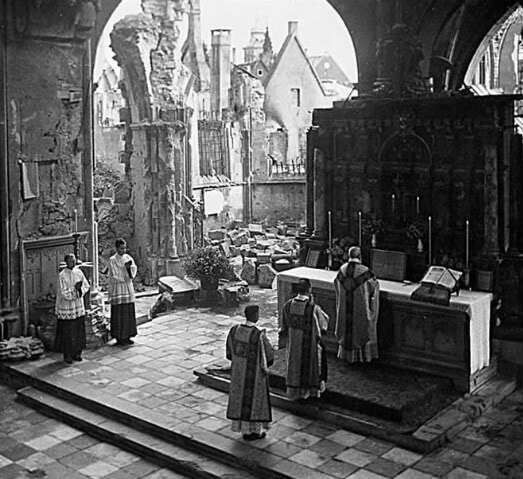 When, in fact, errors everywhere diffused were bent upon rending the seamless robe of the Church and upon throwing the Catholic world into confusion, our fathers turned with confident soul to her “alone who destroys all heresies in the world” (Rom. Brev. ), and the victory won through her brought the return of tranquility. When the impious Mohammedan power, trusting in its powerful fleet and war-hardened armies, threatened the peoples of Europe with ruin and slavery, then–upon the suggestion of the Sovereign Pontiff–the protection of the heavenly Mother was fervently implored and the enemy was defeated and his ships sunk. Thus the faithful of every age, both in public misfortune and in private need, turn in supplication to Mary, the benignant, so that she may come to their aid and grant help and remedy against sorrows of body and soul. And never was her most powerful aid hoped for in vain by those who besought it with pious and trustful prayer. But also in our day, dangers no less grave than in the past beset civil and religious society. 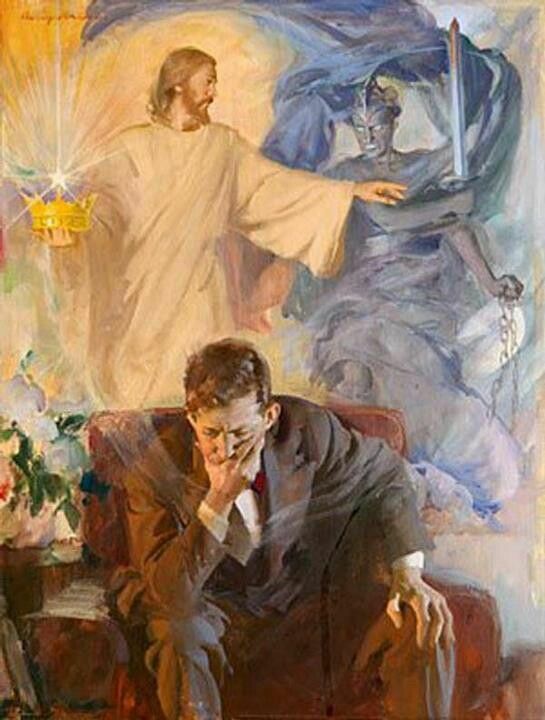 In fact, because the supreme and eternal authority of God, which commands and forbids, is despised and completely repudiated by men, the result is that the consciousness of Christian duty is weakened, and that faith becomes tepid in souls or entirely lost, and this afterward affects and ruins the very basis of human society. Thus on the one hand are seen citizens intent on an atrocious struggle among themselves because some are provided with abundant riches and others must gain bread for themselves and their dear ones by the sweat of their brows. Indeed, as we all know, in some regions the evil has reached such a pitch that it seeks to destroy all private right of property, so that everything might be shared in common. On the other hand, there are not lacking men who declare that they honor and exalt, above all, the power of the State. They say they must use every means to assure civil order and enforce authority, and pretend that only thus are they able totally to repulse the execrable theories of the Communists. However, they despise the light of evangelic wisdom and endeavor to revive the errors of the pagans and their way of life. To this is added the clever and lamentable sect of those who, denying and hating God, declare themselves the enemies of the Eternal, and who insinuate themselves everywhere. They discredit and uproot all religious belief from souls. Finally, they trample on every human and Divine right. And while they cast scorn on the hope of heavenly reward, they incite men to seek, even by illicit means, false earthly happiness, and therefore drive them with brazen temerity to the dissolution of the social order, causing disorder, cruel rebellions and even the conflagration of civil war. Nevertheless, Venerable Brethren, though such great and numerous evils hang over us, and others still greater are to be feared for the future, we must not lose heart nor let the confident hope that rests solely on God become fainter. He who “made the nations of the earth for health” (Cf. Wisdom I, 14), without doubt will not let those perish whom He has redeemed with His Precious Blood, nor will He abandon His Church. But rather, as We said in the beginning, shall We beseech God through the mediation of the Blessed Virgin, so acceptable to Him, since, to use the words of St. Bernard: “Such is the will of God, Who has wished that we should have all things through Mary.” (Serm. in Nativ. B.M.V.). Among the various supplications with which we successfully appeal to the Virgin Mother of God, the Holy Rosary without doubt occupies a special and distinct place. This prayer, which some call the “Psalter of the Virgin” or “Breviary of the Gospel and of Christian life,” was described and recommended by Our Predecessor of happy memory, Leo XIII, with these vigorous passages: “Very admirable is this crown interwoven with the angelic salutation which is interposed in the Sunday prayer, and unites with it the obligation of interior meditation. It is an excellent manner of praying . . . and very useful for the attainment of immortal life” (Acta Leonis, 1898, vol. 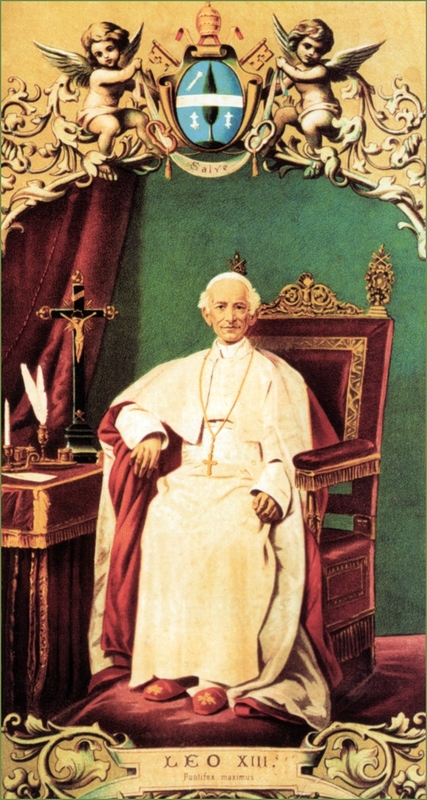 XVIII, pp. 154, 155). And this can well be deduced from the very flowers that form this mystic garland. What prayers in fact can be found more adaptable and holy? 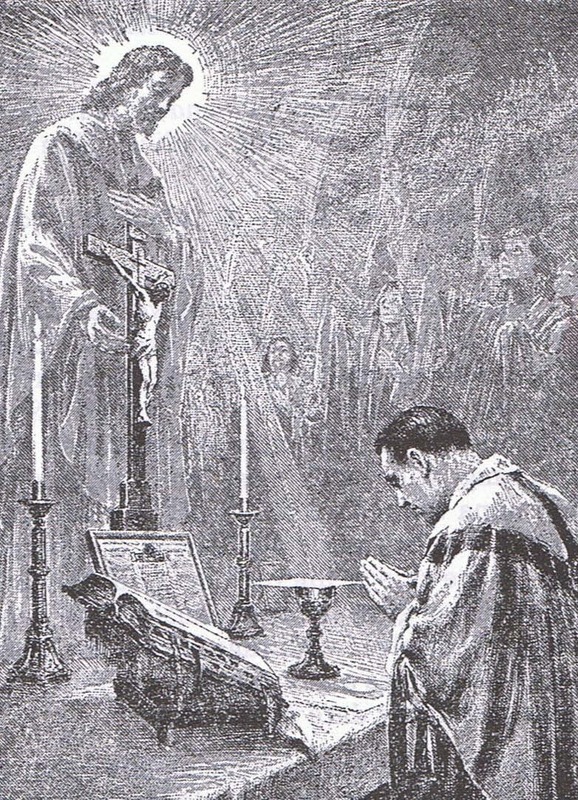 The first is that which our Divine Redeemer Himself pronounced when His disciples asked Him; “Lord, teach us to pray” (Luke XI, 1); a very holy supplication which both offers us the way–as far as it is possible for us–to render glory to God, and also takes into account all the necessities of our body and soul. How can the Eternal Father, when prayed to with the very words of His Son, refuse to come to our aid? The other prayer is the Angelic Salutation, which begins with the eulogies of the Archangel Gabriel and of St. Elizabeth, and ends with that very pious supplication by which we beg the help of the Blessed Virgin now and at the hour of our death. To these invocations, said aloud, is added the contemplation of the sacred mysteries, through which they place, as it were, under our eyes the joys, sorrows and triumphs of Jesus Christ and of His Mother, so that we receive relief and comfort in our sorrows. Following those most holy examples, we ascend to the happiness of the heavenly country by steps of ever higher virtue. This practice of piety. Venerable Brethren, admirably diffused by St. Dominic, not without the heavenly suggestion and inspiration of the Virgin Mother of God, is without doubt easy for all, even for the ignorant and the simple. But those wander from the path of truth who consider this devotion merely an annoying formula repeated with monotonous sing-song intonation, and refuse it as good only for children and silly women! In this regard, it is to be noted that both piety and love, though always renewing the same words, do not always repeat the same thing, but always express something new issuing from the intimate sentiment of devotion. And besides, this mode of prayer has the perfume of evangelic simplicity and requires humility of spirit; and, if we disdain humility, as the Divine Redeemer teaches, it will be impossible for us to enter the heavenly kingdom: “Amen, I say to you, unless you become as little children you shall not enter the kingdom of heaven” (Matth. XVIII, 3). 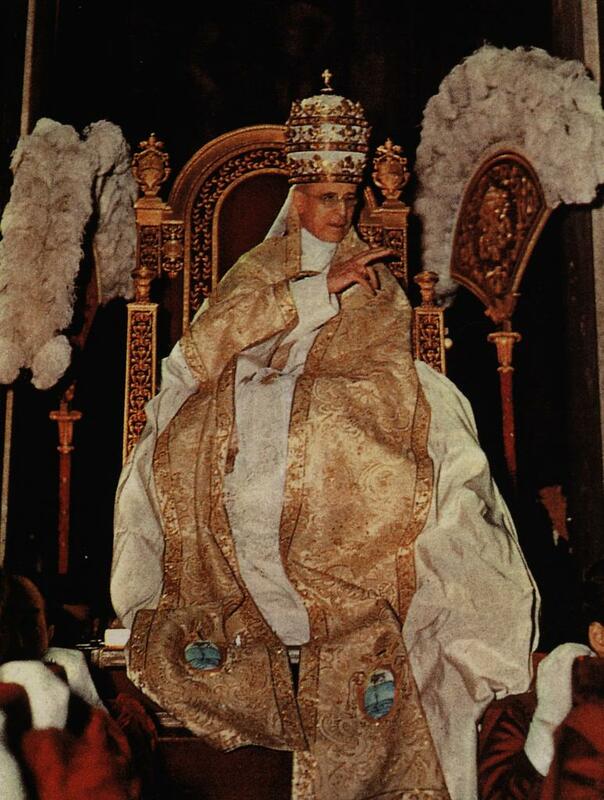 Nevertheless, if men in our century, with its derisive pride, refuse the Holy Rosary, there is an innumerable multitude of holy men of every age and every condition who have always held it dear. They have recited it with great devotion, and in every moment they have used it as a powerful weapon to put the demons to flight, to preserve the integrity of life, to acquire virtue more easily, and in a word to attain real peace among men. Nor are there lacking men famous as to doctrine and wisdom who, although intensely occupied in scientific study and researches, never even for a day fail to pray fervently on bended knee, before the image of the Virgin, in this most pious form. Thus kings and princes, however burdened with most urgent occupations and affairs, made it their duty to recite the Rosary. This mystic crown, then, not only is found in and glides through the hands of the poor, but it also is honored by citizens of every social rank. And We do not wish here to pass over in silence the fact that the Blessed Virgin herself, even in our times, has solicitously recommended this manner of prayer, when she appeared and taught it to the innocent girl in the Grotto of Lourdes. Therefore why should We not hope for every grace if We supplicate Our Heavenly Mother in this manner with due disposition and holiness? 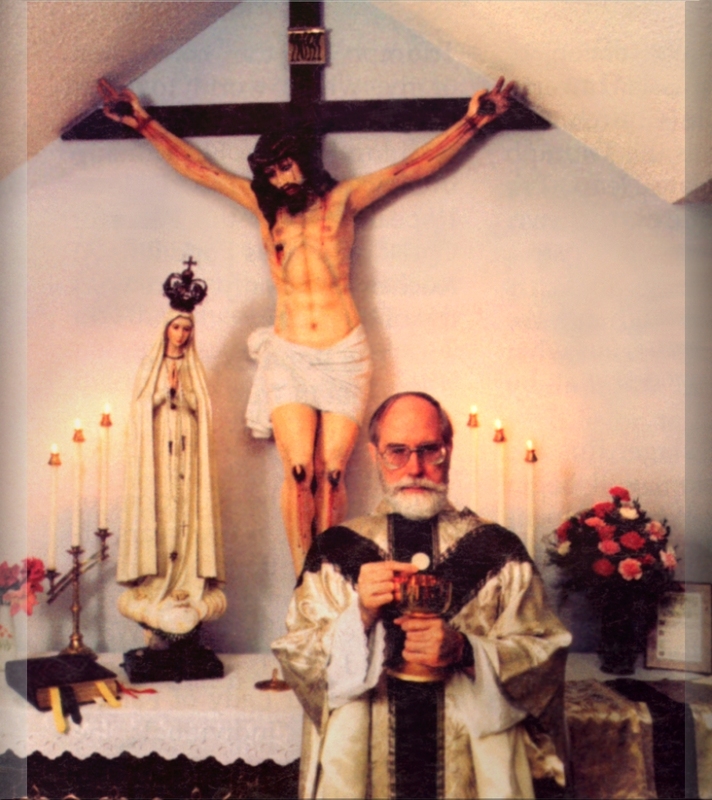 We desire very earnestly, Venerable Brethren, that the Holy Rosary should be recited in a special manner in the month of October and with increased devotion both in the churches and in homes. 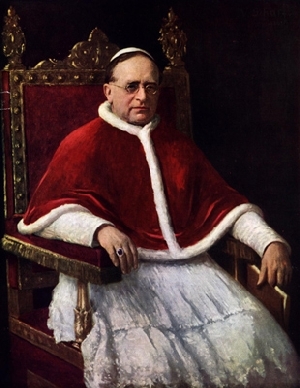 And so much the more must it be done since the enemies of the Divine Name–that is, those who have rebelled against and denied and scorned the Eternal God–spread snares for the Catholic Faith and the liberty due to the Church, and finally rebel with insane efforts against divine and human rights, to send mankind to ruin and perdition. Through efficacious recourse to the Virgin Mother of God, they may be finally bent and led to penance and return to the straight path, trusting to the care and protection of Mary. 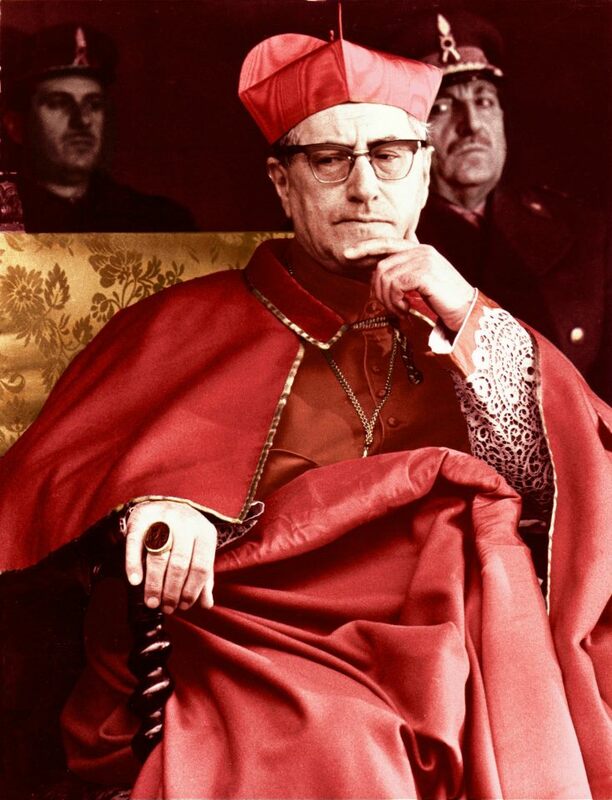 The Holy Virgin who once victoriously drove the terrible sect of the Albigenses from Christian countries, now suppliantly invoked by us, will turn aside the new errors, especially those of Communism, which reminds us in many ways, in its motives and misdeeds, of the ancient ones. And as in the times of the Crusades in all Europe there was raised one voice of the people, one supplication, so it is today: in all the world, the cities and even the smallest villages, united with courage and strength, with filial and constant insistence, the people seek to obtain from the great Mother of God that the enemies of Christian and human civilization be defeated, and thus that real peace may shine again over tired and straying men. 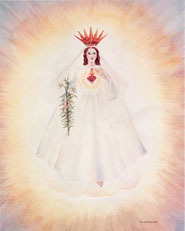 If, then, all will do this with due disposition, with great faith and with fervent piety, it is right to hope that as in the past, so in our day, the Blessed Virgin will obtain from her divine Son that the waves of the present tempests be calmed and that a brilliant victory crown this rivalry of Christians in prayer. The Holy Rosary, besides, not only serves admirably to overcome the enemies of God and Religion, but is also a stimulus and spur to the practice of evangelic virtues which it injects and cultivates in our souls. 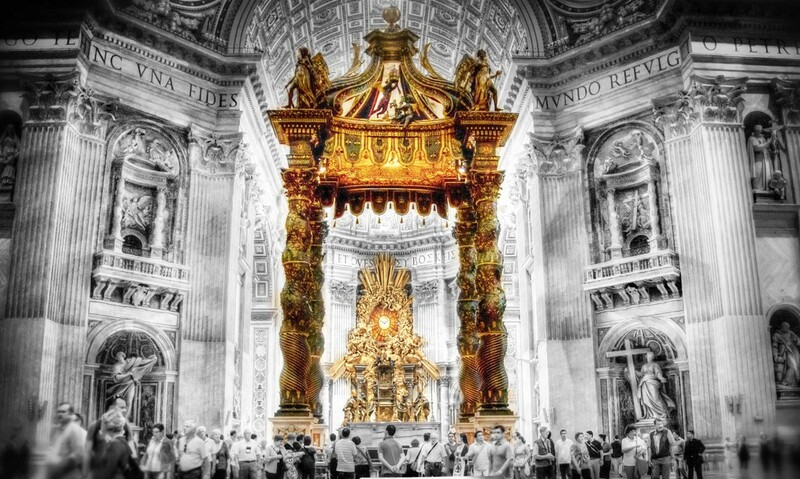 Above all, it nourishes the Catholic Faith, which flourishes again precisely in opportune meditation of the sacred mysteries, and raises minds to the truth revealed to us by God. Every one can understand how salutary it is, especially in our times wherein sometimes a certain annoyance of the things of the spirit is felt even among the faithful, and a dislike, as it were, for the Christian doctrine. 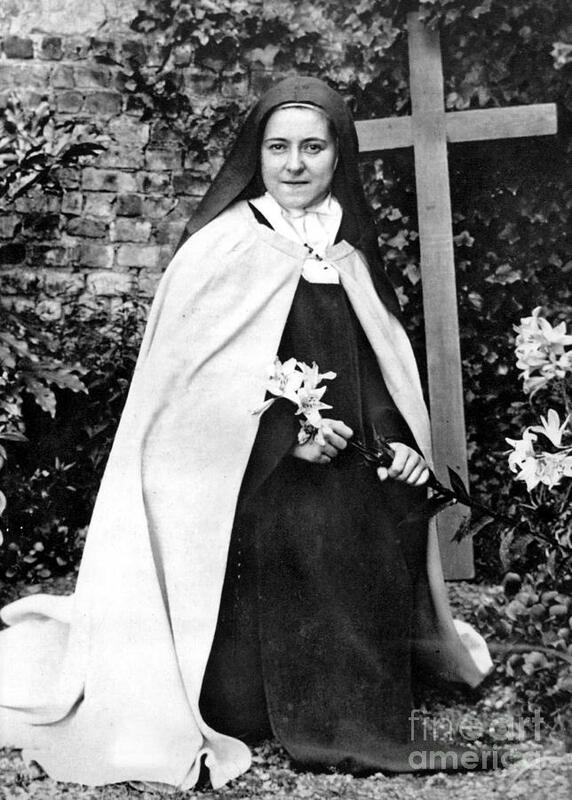 Therefore, revive the hope of immortal welfare, while the triumph of Jesus Christ and of His Mother, meditated on by us in the last part of the Rosary, shows us Heaven open and invites us to the conquest of the Eternal Country. Thus while an unbridled longing for the things of this earth has penetrated into the hearts of mortals and each one more ardently longs for the short-lived riches and ephemeral pleasures, all feel a fruitful call back to the heavenly treasures “where thieves do not break in and neither rust nor moth doth consume” (Matth. XII, 33), and to the wealth that will never perish. And the charity which has been weakened and cooled in many, how can it fail to be rekindled into love in the souls of those who recall with a full heart the tortures and death of our Redeemer and the afflictions of His Sorrowful Mother? From this charity towards God, then, there cannot but rise a more intense love of one’s neighbor if one dwells on the labors and sorrows that Our Lord suffered for all, reinstating the lost inheritance of the children of God. Therefore see to it, Venerable Brethren, that such a fruitful practice shall be more diffused, more highly esteemed by all, and that common piety be increased. 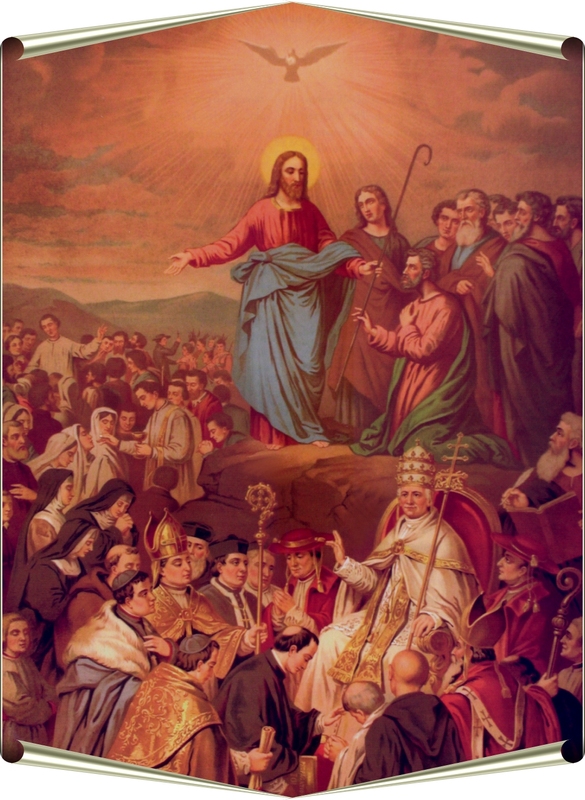 Through your work and that of the priests who help you in the care of souls, its praises and advantages shall be preached and repeated to the faithful of every social class. From it, the young will draw fresh energy with which to control the rebellious tendencies to evil and to preserve intact the stainless purity of the soul; also in it, the old will again find repose, relief and peace from their anxious cares. 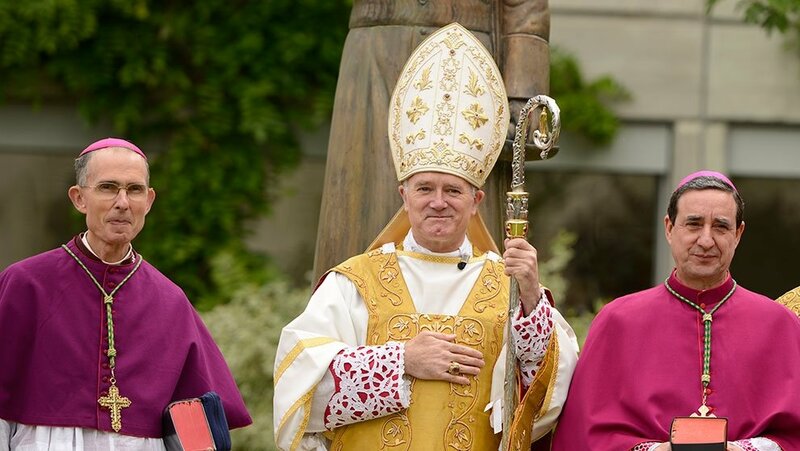 To those who devote themselves to Catholic Action may it be a spur to impel them to a more fervent and active work of apostolate; and to all those who suffer in any way, especially the dying, may it bring comfort and increase the hope of eternal happiness. The fathers and mothers of families particularly must give an example to their children, especially when, at sunset, they gather together after the day’s work, within the domestic walls, and recite the Holy Rosary on bended knees before the image of the Virgin, together fusing voice, faith and sentiment. This is a beautiful and salutary custom, from which certainly there cannot but be derived tranquility and abundance of heavenly gifts for the household. When very frequently We receive newly-married couples in audience and address paternal words to them. We give them Rosaries, We recommend these to them earnestly, and We exhort them, citing Our own example, not to let even one day pass without saying the Rosary, no matter how burdened they may be with many cares and labors. For these reasons, Venerable Brethren, We have thought to exhort you earnestly, and through you, all the faithful, to carry out this pious practice. Nor do We doubt that you, listening, with your usual response to Our paternal invitation, will bring about abundant fruits once more. And in addressing this Encyclical to you, another motive impels Us. We wish that, together with Us, Our many children in Jesus Christ shall unite and render thanks to the Mother of God for the better health We have happily regained. This grace, as We have had occasion to write (Cf. Chirograph to Cardinal E. Pacelli, Osservatore Romano, 5th September 1937), We attribute to the special intercession of the Virgin of Lisieux, St. Teresa of the Child Jesus. But We know, though, that everything comes to us granted by Almighty God through the hands of Our Lady. 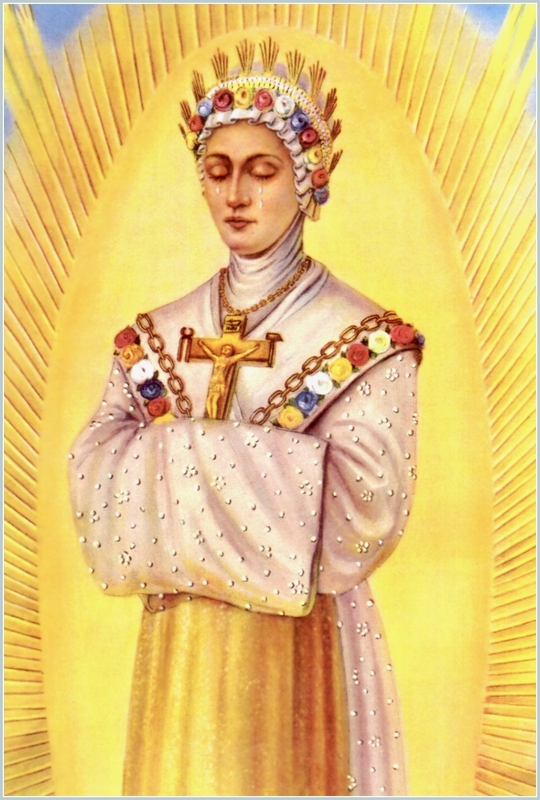 And lastly, as there has been launched in the public press with rash insolence, a very grave injury to the Blessed Virgin, We cannot do less than profit by this occasion to offer, together with the Episcopate and the people of that nation which venerates Mary as “Queen of the Kingdom of Poland,” and with the homage of our piety, due reparation to the august Queen, and denounce to the whole world this sacrilege committed with impunity, as a painful and unworthy thing. 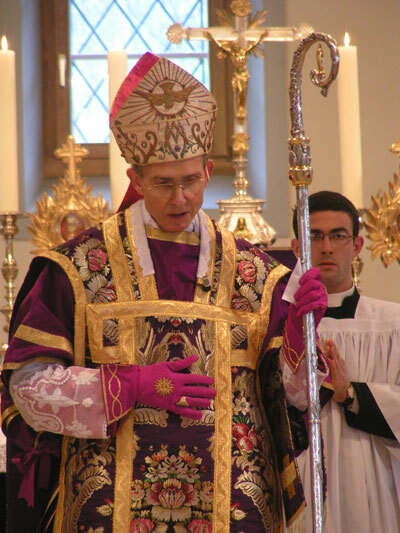 Meanwhile, with a full heart We impart to You, Venerable Brethren, and to the flock entrusted to the care of each of you, the Apostolic Blessing as an augury of heavenly graces and in token of Our Paternal benevolence. 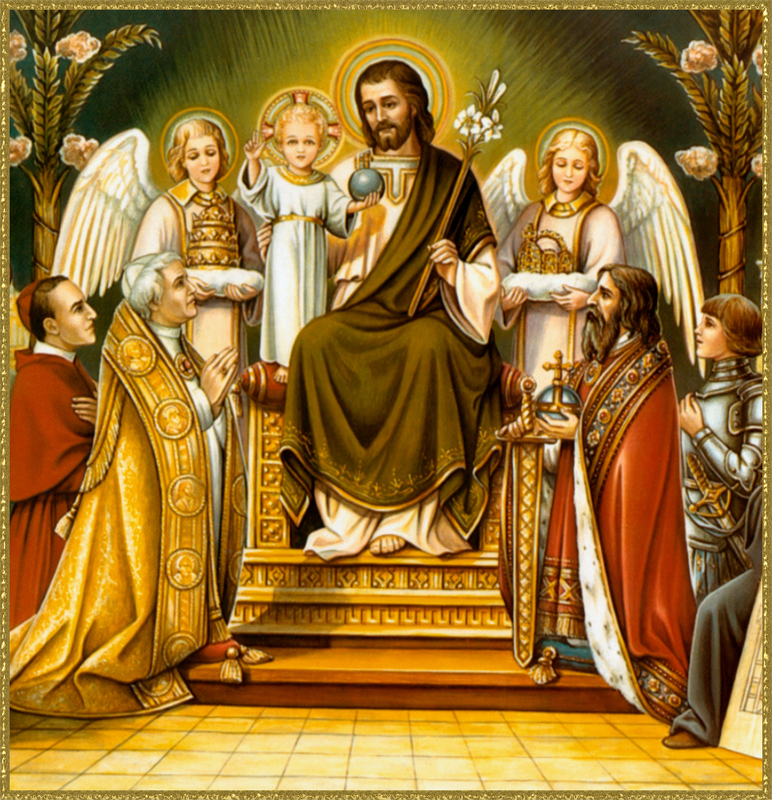 Given at Castelgandolfo, near Rome, on the 29th of the month of September, on the Feast of the Dedication of St. Michael Archangel, in the year 1937, the sixteenth of Our Pontificate. 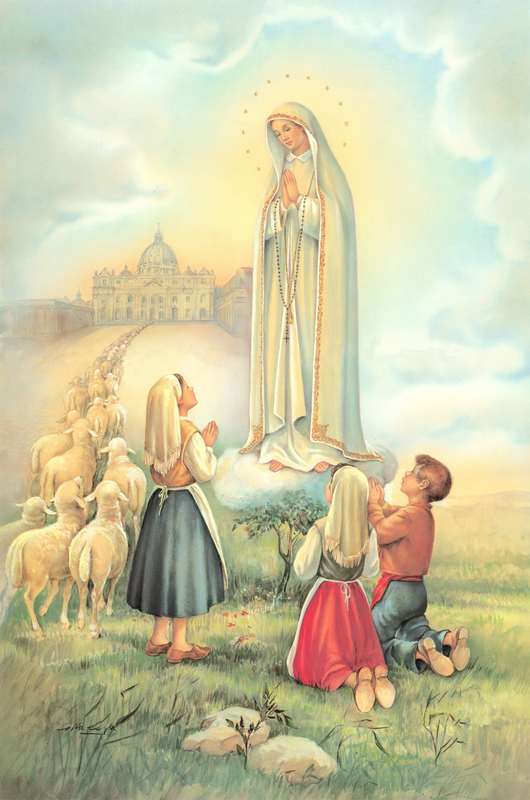 This entry was posted in Fatima, Rosary and tagged Catholic on May 21, 2015 by damselofthefaith. This entry was posted in Quotes from the Saints, Rosary and tagged Catholic on May 16, 2015 by damselofthefaith.